The Liebster Award? That doesn’t quite sound like a dish with a recipe now does it? This post won’t be filled with words and photos that leave you hungry and making a bee line to the kitchen, but it will be overflowing with inspiration and appreciation for the ever growing blogging community and I’m loving that just as much. 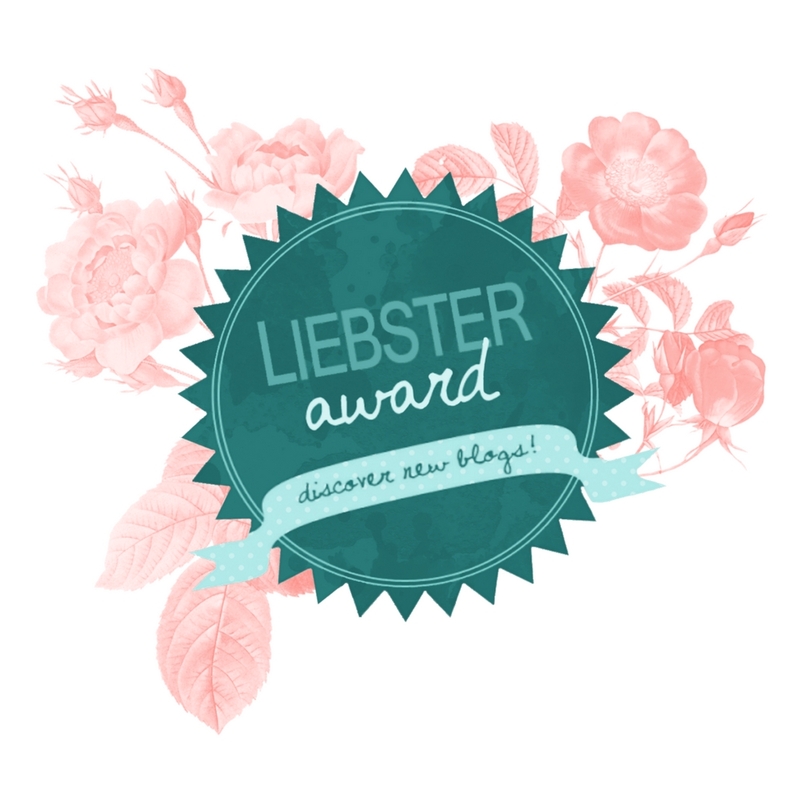 The Liebster Award is a brilliant way to discover and showcase new and upcoming blogs. “Liebster” is a German word meaning beloved or dearest; my high school German teacher would get a smile from this particular post! The award is given to bloggers by other bloggers and starts with a nomination. That’s where Samantha Richardson from http://livingrichardson.com/ comes in to play for my story. I’m writing this post as an acceptance of her nomination for my blog and couldn’t be more thankful. Friendly was the first word that came to mind when visiting Samantha’s blog. You’ll know exactly what I mean when you see that photo pop up on her homepage. She has such an inviting space filled with classic go-to recipes (7 layer taco dip), cleaning tips that will always be needed in a home with kids and pets…and husbands (stain remover) and heartwarming personal stories that will undoubtedly help others. Samantha – As your nomination is well deserved, mine is greatly appreciated. My favorite blog is Pinch of Yum written by Lindsay, a former 4th grade teacher! I love everything about her blog – the name, color scheme, writing style, background story, how her sweet husband contributes and of course, the recipes. Just look at this Ultimate Breakfast Sandwich and tell me your mouth isn’t watering? Excuse me while I go make a snack 🙂 Lindsay is a true inspiration for all beginner bloggers, because she shows you just how possible it is to turn your part time hobby into a full time career. It seems passion is the main ingredient in that recipe; she blogs because she loves to create, cook, inspire, share and connect with all of her readers. I feel like I’m putting words in her mouth right now, but you can get the sense of such things when you read someone’s writing. The sense of a genuine person doing good for all the right reasons. Thank you Lindsay for not only sharing your fantastic recipes, but also your near and dear life stories. I’ve been encouraged to write Ten Random Facts about Me as part of this nomination acceptance and since I love reading fun facts about others, here we go! With the name Sara, I will forever be asked the question “with or without an ‘H'”? Sometimes I just go ahead and spell my name for the kind person tired of asking! I love reading and watching movies. I’m currently reading the book ‘Little Fires Everywhere’ and my all time favorite movie is Father of the Bride. My favorite vacation spot is the beach! Disney is a close runner up to that! I’m a pretty indecisive person and I don’t like to be the one who decides where a group of people eats dinner. People-pleaser problems! Although I took several different types of dance classes over the years, I spent most of those 17 years focused on ballet. I may put my pointe shoes back on from time to time! I follow in my grandmother’s steps when it comes to the kitchen. My love for food, fresh from the garden ingredients, cooking and serving people will always stem from her and the amazing family dinners I had in my own home growing up! What is the most extreme thing you’ve ever done? Extreme doesn’t exactly describe my personality, but I’ll go with the free form snorkeling adventure at the resort in Jamaica on our honeymoon. We literally put on our face gear and started swimming out into the ocean from the shoreline! Let’s just say, we preferred the snorkeling excursion on the catamaran boat!! When do you find time to blog? This is such a great question, because it’s my biggest challenge! I tend to do my cooking on the weekends when we don’t have obligations and my writing in the evenings. How long would you survive the zombie apocalypse? Depends. Will my husband be there with me? 🙂 Why wasn’t I in girl scouts! What is your favorite book or book series? When it comes to a full series, Harry Potter hands down. Loved them even as I got older and may have made my husband see the final movie with me in theaters…twice. What superpower would you like to have? The power to heal! Who would play you in a movie about your life? Hm. One time my friend’s fiance said a character Anna Kendrick played reminded him of me. She’s fun and plays awkward roles well so let’s go with her! How did you pick the name for your blog? Our Front Door Looking In is a variation of lyrics in the song ‘My Front Porch Looking In’ by Lonestar. I love country music and the words made sense with this blog being a glimpse into our little life. What is at the top of your bucket list? Wow. I love making lists, but I’ve never actually written a bucket list. I really want to visit New York City during Christmas. What is the best compliment you’ve ever received? When my stepdaughter was little she always wrote us cards and colored photos for us. Once she saved her own money and bought me a gift and told me I was the best stepmom in the card. Nothing warms my heart more than compliments from her. Who has left the biggest impact on your life? My parents. They’ve had everything to do with who I am today. Cliche? a bit. True? most definitely. Now it’s my turn to share the love and nominate five more deserving blogs! Can I tell you how happy I am to have stumbled upon these amazing pages? The world is filled with so many creative and wonderful people and right here is a way to remind you of that in a time when we need all the positive vibes we can get! Nominees – You can find the rules for The Liebster Award here! Here are your 11 questions from me! If you had to choose one post from your blog to showcase, which one would you choose and why? Do you have any funny hidden talents? Are you binge watching any shows on Hulu or Netflix right now? What is something you want to accomplish in the next year? I’m so looking forward to not only reading your answers, but also connecting and keeping up with your future blog posts! The winner of the Liebster Award will be announced December 31st. Don’t forget to link your post in a comment when you are finished! Good luck to you all! Thank you so much for the nomination, Sara! I just finished creating my post, and I’ll link it below! I can’t wait to read more of your work – your recipes look absolutely delicious, and I can’t wait to try making some of them myself! Thanks for the sweet comments and sharing your linked post; I loved reading it!! You have a beautiful blog and I look forward to reading more! That’s wonderful! Congratulations on your nomination! I really appreciate your sweet comments!